There are tons of things to do in Bratislava, such a beautiful yet underrated and over-looked city, and you will enjoy each one! Made infamous by “Euro Trip” and “Hostel”, you might have the wrong impression about Bratislava. But I can assure you it is safe as well as one cool city! Just like any other Old Town sector in Eastern Europe, Bratislava boasts a very beautiful Gothic Old Town that you must see. These aren’t just 10 things to do in Bratislava, but also 10 reasons to visit Bratislava as well! 1. Visit the ultra photogenic Bratislava Old Town. Yes I know I just mentioned it above, but I love Old Towns all over Europe. 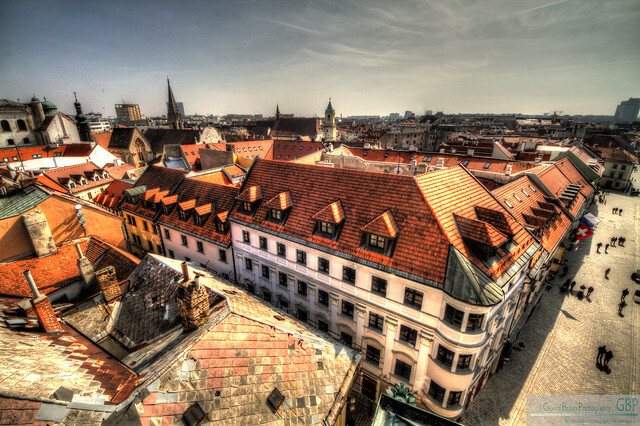 This also is the most charming area of Bratislava, with its narrow lanes and historic buildings. Fun to explore at night and find those “hidden” bars and shops. Walk the cobbled stone streets and take a photo tour of real beauty when it comes to old architecture. One of the best Bratislava attractions. 2. Check out St Elizabeth’s / Blue Church. This is a beautiful church that is actually blue – inside and out! Not a far walk from Old Town, and definitely worth the walk to see. Churches in Eastern Europe tend to be a lot more beautiful then the rest of the world I think! 3. The Slavin War Memorial- An enormous pillar built in 1960 in memory of the 6000 Soviet soldiers that died pushing the Nazis out of West Slovakia. Its a great reminder of our past, and a place you might not have heard of, but should see when you visit Bucharest. Check out at the end of the article for my best hotel recommendations! 4. Devin Castle was built in the first century AD, so obviously has so much history. Its also a beautiful castle with amazing views where you can just imagine yourself being back in those times. 5. UFO (New Bridge)Observation Deck is the world 7th longest suspensions bridge with the observation deck over 95 meters above the ground! The round structure with glass windows all around offer a fantastic view of the entire area. Whether you eat or have a drink there or not, it is a place not to miss! 6. Slovak National Gallery 18th century palace – nation’s largest gallery and museum collection. 7. Bratislava Castle (Hrad) is a great old castle to see when you visit Bratislava. With two museums within its walls, you get a real idea of the area and its history. History buffs will love this place, but so will photographers or just lovers of all things pretty. A must, when it comes to things to do in Bratislava! 8. Zlate Piesky is the ideal place to escape the summer heat and enjoy some water sports. This resort lake near the city is a favorite for everyone to escape to, and offers rentals, lessons and equipment for whatever you enjoy. 9. Mytny domcek is a restaurant with great food of the typical fare. With pictures of old Bratislava on the walls, the atmosphere of this place makes it a favorite for the locals. Great reason to visit Bratislava. 10. Czechoslovak Fortification Museum is three objects of the fortification that was constructed in Czechoslovakia before the Second World War. From 1935 to 1938, 9 artillery forts, 265 infantry buildings and nearly 10 000 light pillboxes were built, mostly along the north border with Germany, but also on the borders with Hungary, Austria and Poland. Wondering what to do in Bratislava? Heres a great one! Here are some of my recommendations and best places to stay while you visit Bratislava. I use and love Hotels Combined, and am also an affiliate with them. This means that by clicking one of my links and booking a stay, I will get a small commission at no extra charge to you! Here are my recommendations, both luxury and budget! I can’t say anything wrong about the place, it really is above average quality, yet is still affordable to stay in. Situated on the outskirts of the city near Zlaté Piesky Lake and the airport, Penzion Pohodička offers en-suite accommodation, a restaurant, a bar, a garden, a terrace and a 24-hour front desk. Free WiFi is available in all areas and free private parking is possible on site. This place s rated high on all booking engines as well as Tripadvisor for a good reason! For a more central location, head here. Donet is only about 1 km from the historical centre of Bratislava and maybe more appealing to me is that the train station is 400 metres away, and Sancova bus stop is 300 metres from the property. I’m not going to recommend to you a place without free wifi, and Donet is no exception. Along with the wifi they have great, clean and modern rooms with flat-screen satellite TVs. You can’t really go wrong with the place, and I’m sure you’ll want to leave your own good reviews! Located a 10-minute walk from the centre of Bratislava, this might be one of the best locations yet. The rooms and dormitories feature a bathroom, a kitchenette, a TV and lockers. There is two lounge areas at the place, as well as a laundry facility to use. The Bratislava Train Station is 600 metres from the property and the Karpatska Bus Stop is 150 metres away. Bratislava Castle is 2 km away. The staff are great and can tell you how to get anywhere in the city, as well as give you all the info you need for your visit. All in all, I think you should try this place, because it is one of the only ones I can pronounce! Marrol’s Boutique Hotel is located in the historical centre of Bratislava, with tons of restaurants and things to do close by. They offer secure parking under the building, as well as free wifi and all the amenities. This place has all the things a 5 star hotel should. A cozy lobby with a fire place, and nice terrace, a spa and more. 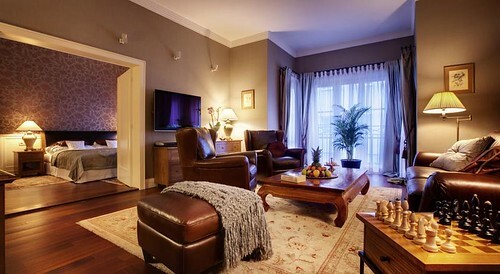 Great location, great comfort and luxury, great place to stay. This place is beautiful and centrally located. It has what you would expect of a 5 star luxury hotel and much more. Tulip offers spacious suites, free internet access and a modern spa area with sauna and hot tub facilities. The suites are a minimum of 75 m² in size and come equipped with flat-screen cable TVs and elegant modern furniture. You can eat at their gourmet restaurant or wander to a nearby one. This place is luxury heaven, and theres not much else needed to say about it. This is another ultra luxury hotel thats located on the beautiful banks of the Danube River, and still only a 15 minute stroll form city center. 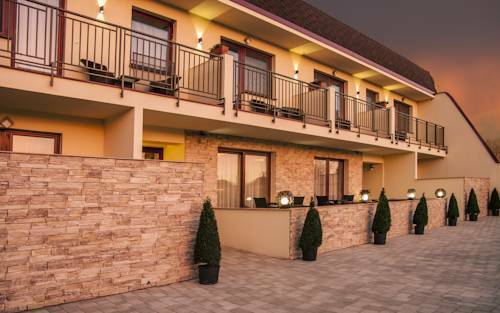 If you want to stay at a beautiful hotel featuring a spa with hot tubs and saunas, spacious rooms with all the latest entertainment and panaramic views of the Danube or Castle Hill, a restaurant and much more, then no need to look further. If in case you need even more convincing, they also have their own ice skating rink in the winter. Enough said? Thought so. Also check out my pick for the best beaches in Costa Rica! There was this bar we went to in Bratislava. It was a pub really. I think it was called #1 Pub. But, it had a sampler of all the famous Slovakian food. And it had grape soda, which I guess is famous. It was very tasty. We loved it. I like Bratislava SO much more than Prague! I may be in the minority but it had such an edgier vibe. And it was like one of the only places in Europe I could find a bagel, which was delish. Great pics! I visited Bratislava in 2008, the castle was my favorite landmark. Thanks for the list, would love to come back again. We discovered there are a lot of activities to do around Bratislava also. We were a bunch of friends and used the services of www.enjoy-bratislava.com to organize this, great service! My favorite spot is Devin Castle. Its a bit outside but pretty cool. Me and my friend we did scootertours.sk and it was amazing. I definitely recommend Bratislava. Thanks again for all the info. Went there for 3 days – new years eve included. Was fun, though a little cold. Beautiful cozy old town. And the St Elizabeth’s / Blue Church was one of the nicest sights in the city. As for eating places, the 1st Slovak Pub was kind of too touristy. Food, service and everything else. But there is an upscale brewery Fabrika http://www.fabrikapub.sk/sk and a traditional restaurant someone recommended – Modrá Hviezd http://modrahviezda.sk/. Really good traditional food, just like my grandma does back in Transylvania, but some a little improved – like the game Goulash with a touch of lingonberry marmalade or the pumpkin mash instead of the traditional potato mash.